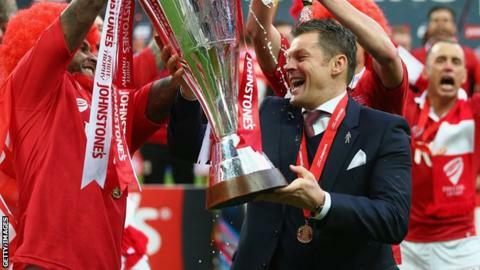 Bristol City boss Steve Cotterill has called for patience after a frustrating few weeks in the transfer market. City returned to the Championship after winning League One but have only added striker Jonathan Kodjia to their squad. With their season-opener just eight days away Cotterill admitted he may have to wait to finalise his squad. "We are now competing with lots of big clubs in the Championship and we may need to be even more patient for some of the right ones to drop," he said. City were beaten 1-0 by League Two Yeovil Town on Thursday, with the squad including a relatively inexperienced bench. However, he says the club will not burden themselves financially by bringing in players they do not need or who are over-priced. "We are looking and working very hard to try and get the right types to come into the football club," he told BBC Radio Bristol. "The financial side of it is always a big issue. When you think of us getting Jonathan Kodjia for £2.1m and you think about another phone call I made where I wanted a similar type striker and was quoted £7m plus add ons. "That's the gap we have to bridge. We will bridge it with honesty, team work, passion and desire and a good bit of work and a fair bit of patience. We'll get there. "I'm trying my best morning, noon and night. In fact, more at night, I spend a lot of time awake at the moment but trying to get the right people in as that is important." Cotterill, whose side take on Sheffield Wednesday on the opening day, added: "I've seen it happen at clubs far too often where you end up taking people for back up. It isn't back up we want, it's competition for those 11. "We've got a great club, great ownership, great board, great set of players, great fan base, great stadium to look forward to. We just have to try and be patient and make the right decisions at the right time." Ashes cricket: Too fast, too furious?